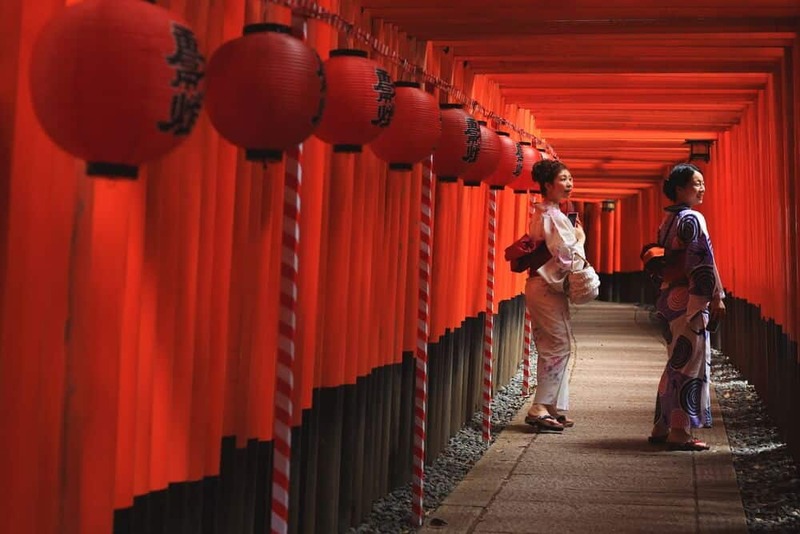 You’ve probably seen photos of Fushimi Inari Shrine (Taisha) without knowing it. 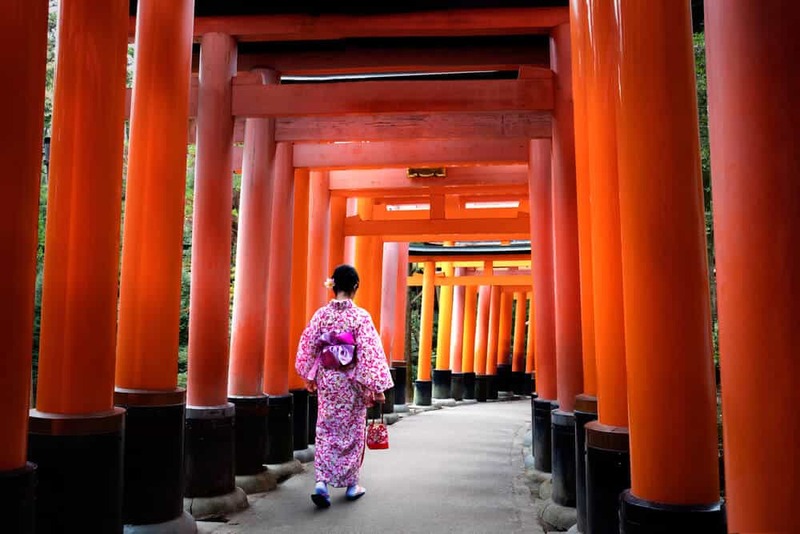 The iconic photo of the many red torii (traditional Japanese gates) forming one continuous tunnel was taken here. You’ll have no difficulty locating the exact spot. 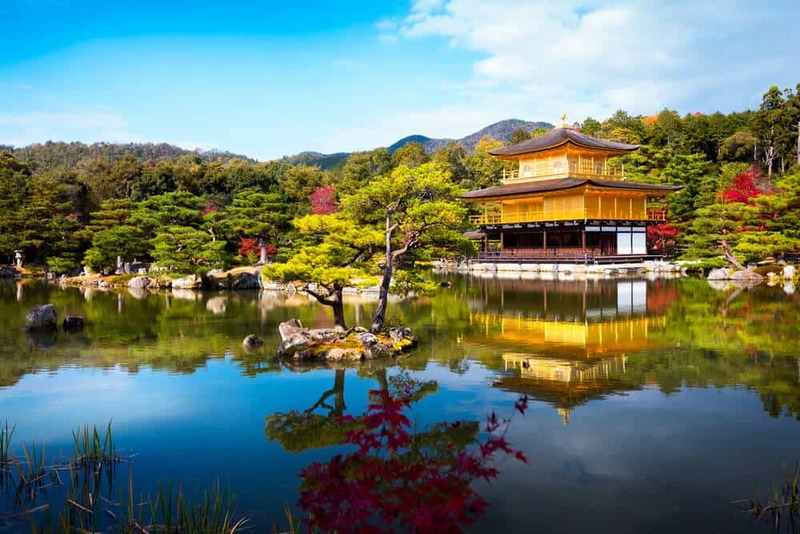 Rows of tourists can be seen, cameras in hand, as they wait for the crowds to pass so they can take their quintessential Japanese photo! 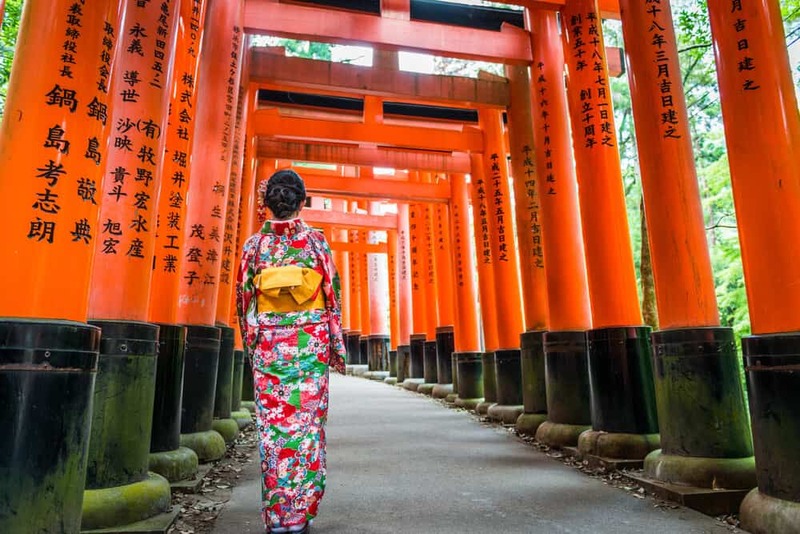 Like most of Kyoto’s star attractions, you must arrive at the shrine early to get that perfect shot. 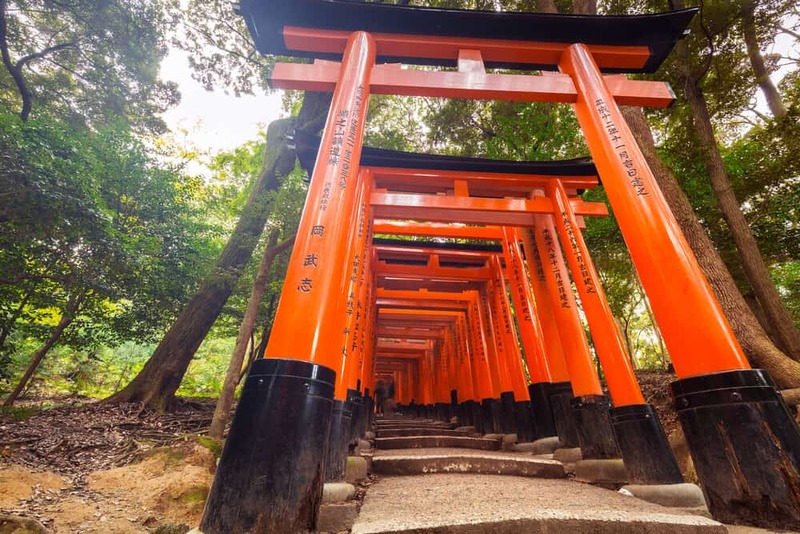 Definitely worth it, even if it’s just to take a quick look at the thousands of torii gates there. 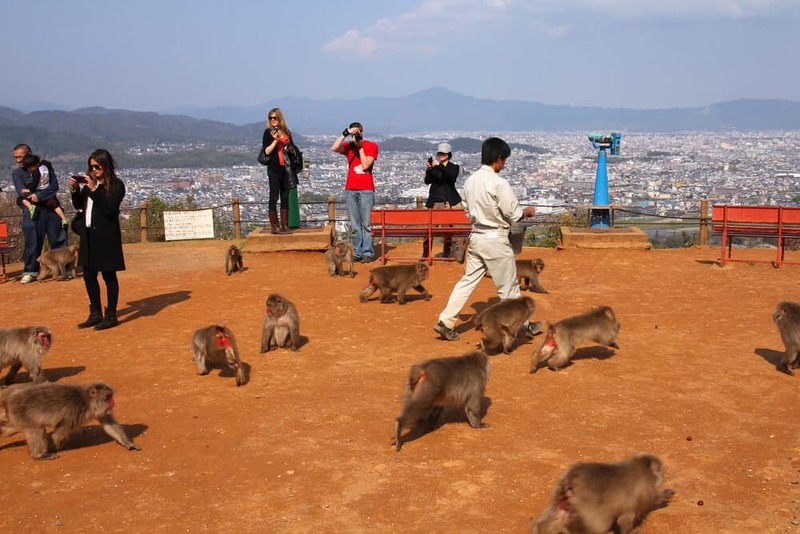 However, Fushimi Inari doesn’t seem to attract the crowds of people compared to other famous Kyoto attractions. I’ve never had a problem finding a peaceful spot any time of day at any season. 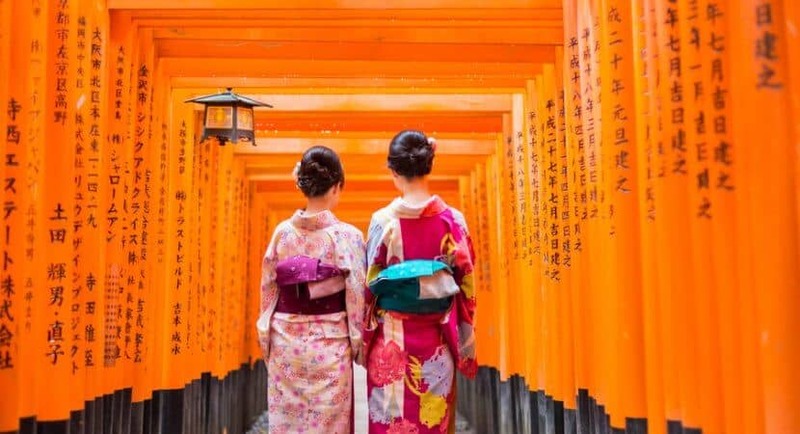 Fushimi Inari is a Shinto shrine mainly dedicated to Inari, the god of rice, whose messenger foxes appear in many guises throughout the temple. 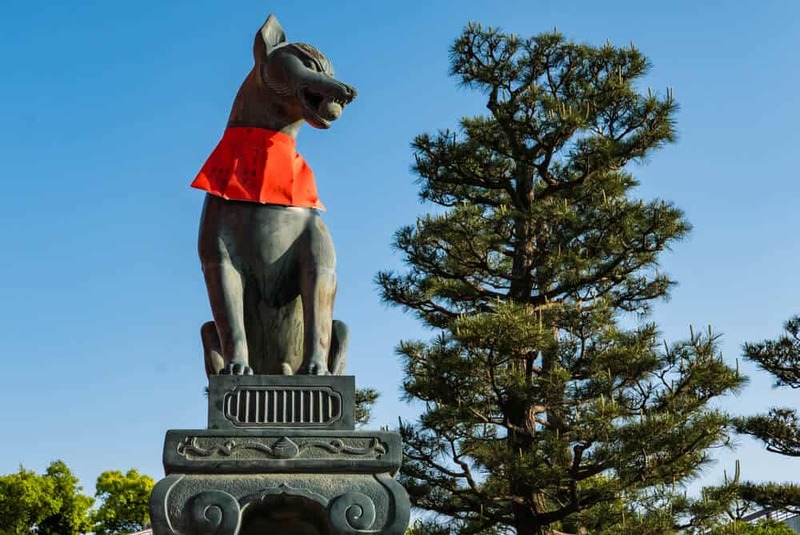 Finding the foxes is part of the fun of the shrine! 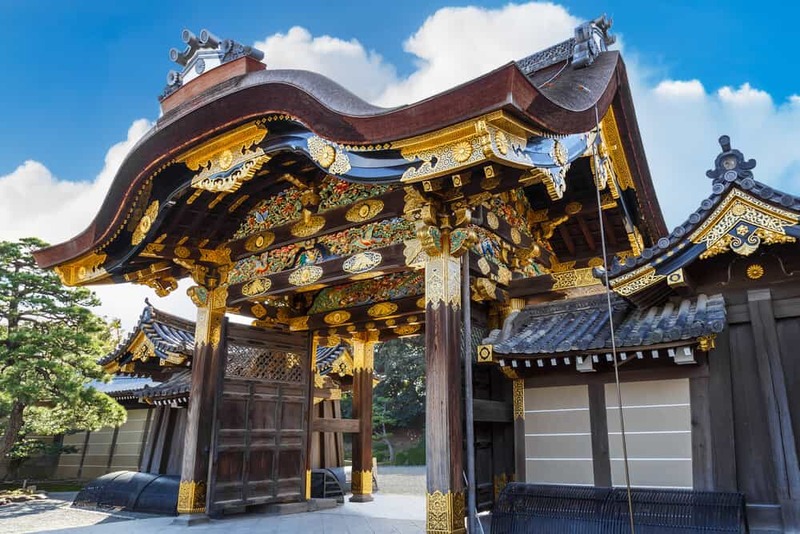 The colorful Romon gate (the huge torii gate at the entrance of the shrine) and the main buildings are well worth a look, but the main attraction is the winding uphill path that passes through the torii gates. 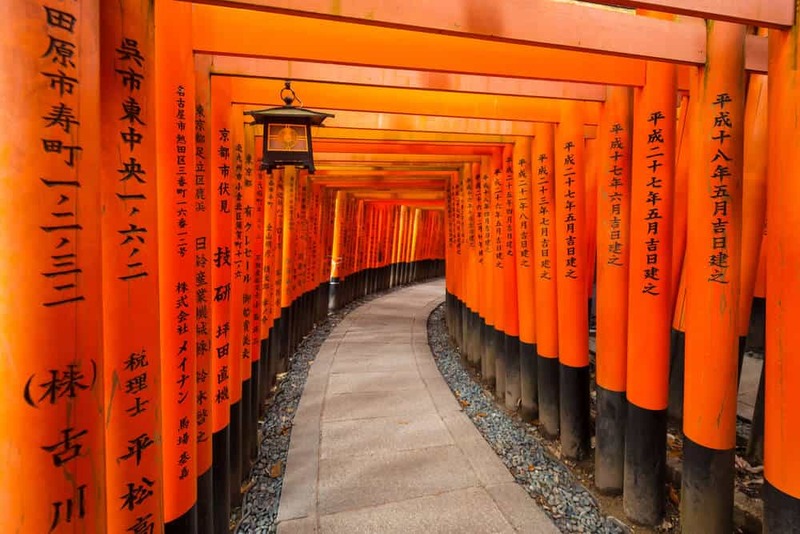 There are around 10,000 torii gates at Fushimi Inari. 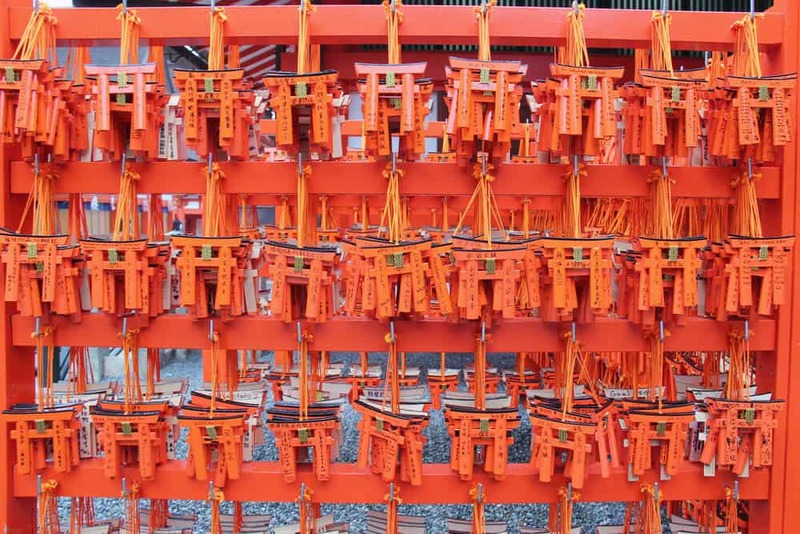 Every torii gate was donated to the shrine by a business. At the base of the hill, the torii gates and the crowds are thick, but as you climb the hill, both thin out. This allows you to enjoy the forest with its atmospheric sub-shrines placed throughout the journey. 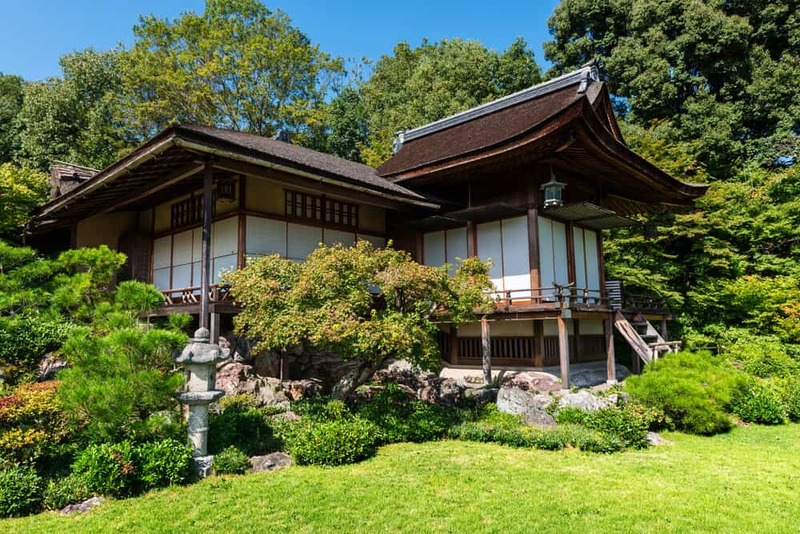 Surrounded by slowly swaying bamboo and the sound of birds singing (or, in summer, ever-present cicadas humming), you’ll have a hard time believing that a busy main road is only a couple of hundred meters away. There are lots to discover here. There are moss-covered graves with tiny white ceramic foxes placed in every available space. 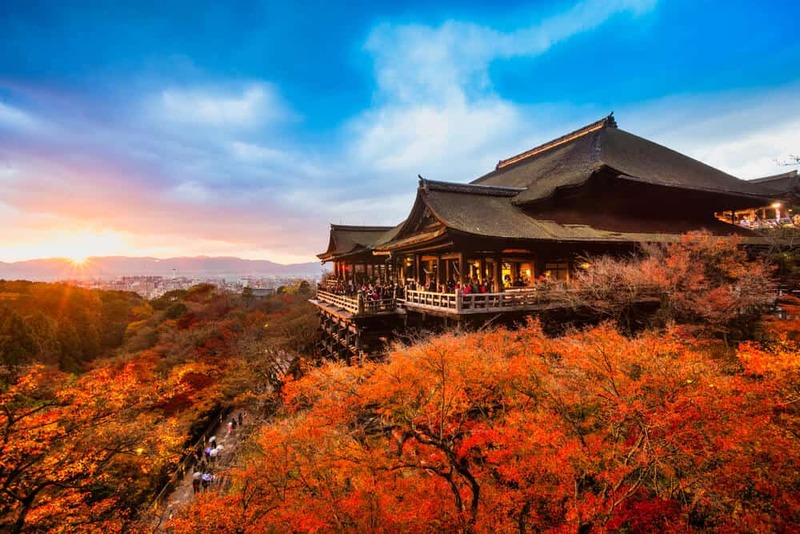 Or if you would prefer to stretch your legs and immerse yourself in the forest, there is a four-kilometer hike to the top of the hill, sporadically dotted with faded torii gates. If you visit in the summer, be sure to take precautions for the heat. Sunscreen, lots of water, and bug spray are all essential if you are going to enjoy the forest. 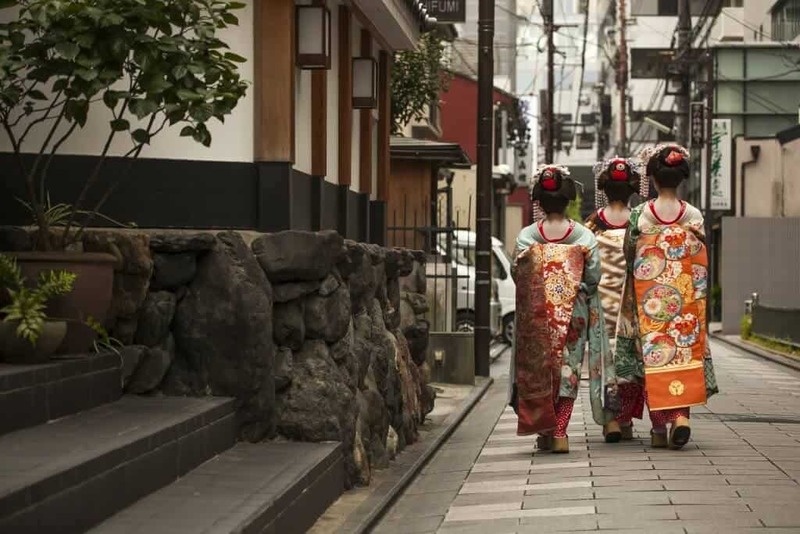 You may stumble upon a small antique market selling secondhand kimono and small ceramic items in the area behind the main shrine. 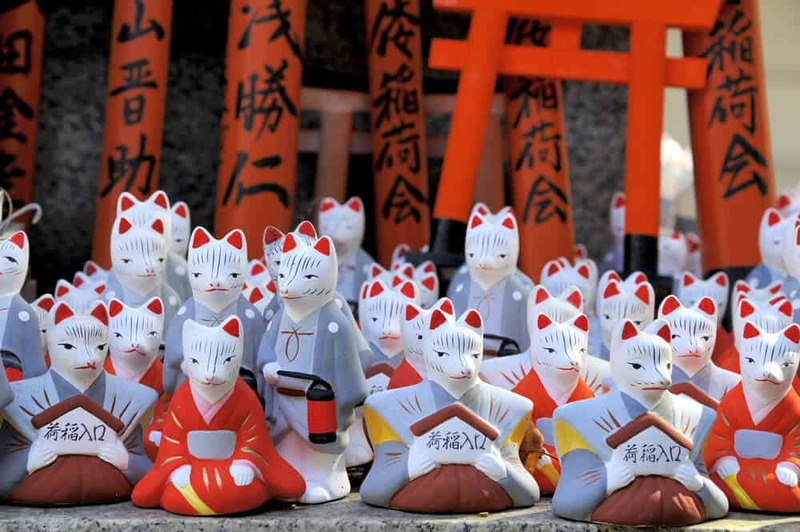 If you miss this, fox charms and prayer boards sold at the shrine also make great souvenirs. The other shopping opportunities are the lack-luster shopping street to the left of the main gate. You can grab inarizushi (fried tofu pouch filled with sushi rice) or kitsune udon (udon noodles with hot broth and a piece of fried tofu) from the tourist-focused restaurants, but while the prices aren’t too bad, the food is nothing special. It’s worth the walk to Kendonya, who pride themselves on their hand-made udon noodles and broth, made fresh daily. 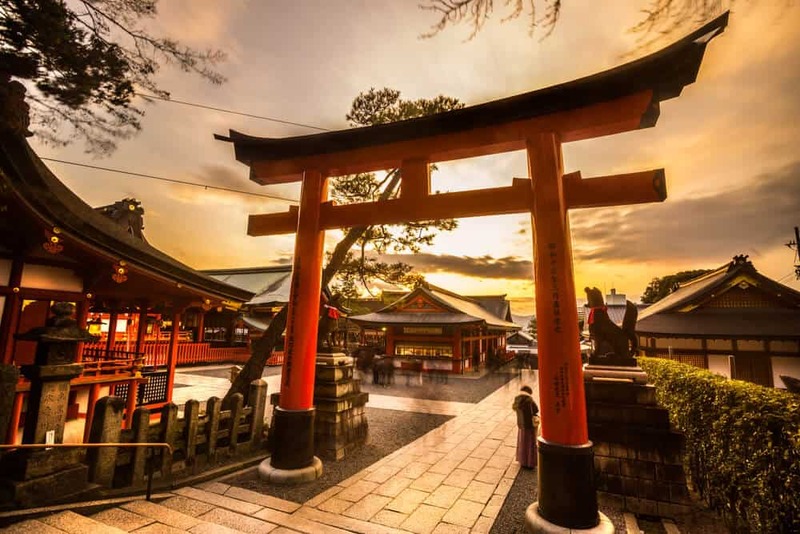 Fushimi Inari Taisha is most easily reached by train or subway. 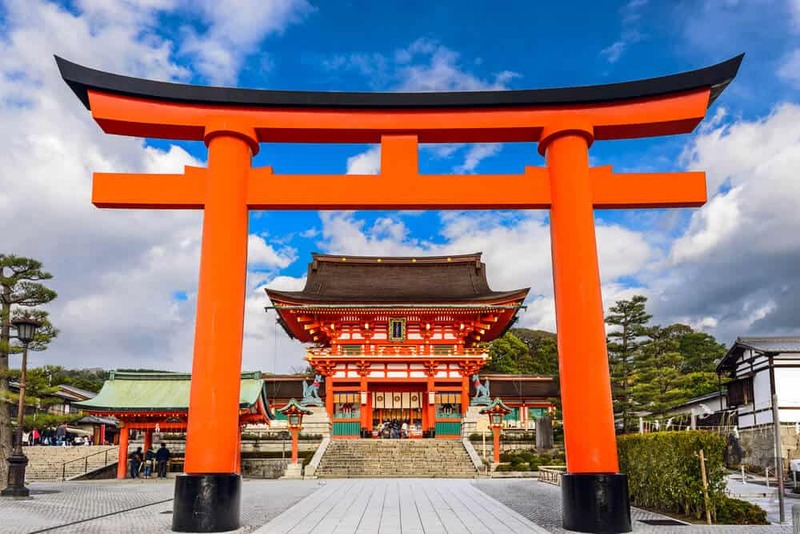 From Kyoto Station take the JR Nara line to Inari Station (2 stops from Kyoto Station) and walk three minutes to the shrine’s main entrance. The train costs 140 yen each way, and takes around 5 minutes. 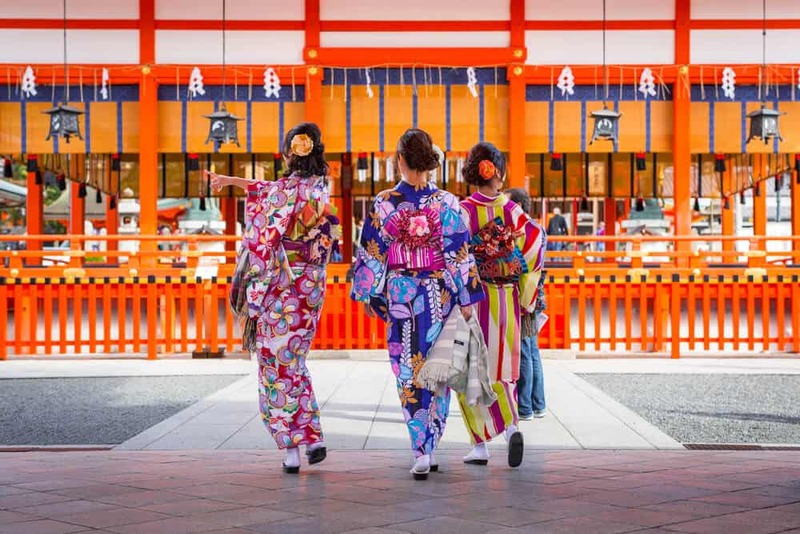 Or you can take the Keihan Main Line to Fushimi-Inari Station. It’s a 5-minute walk east from the station. 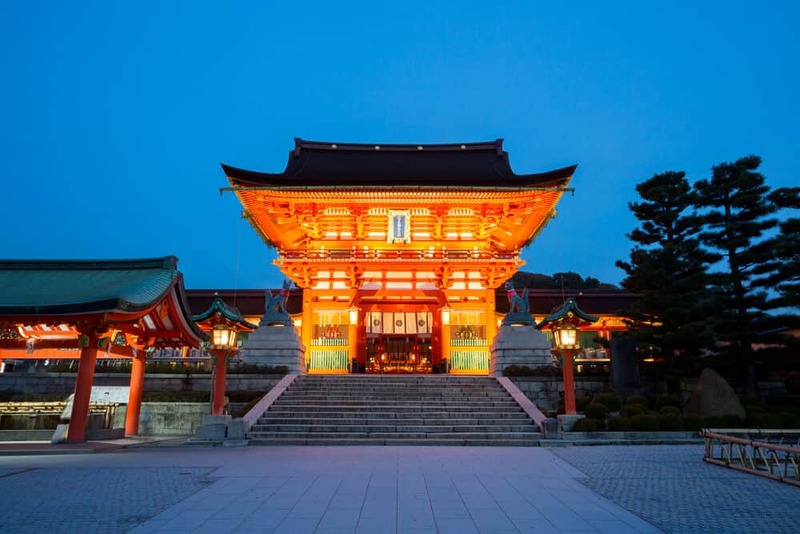 Since Fushimi Inari Taisha is some distance from Kyoto’s other sights, it’s worth combining it with a visit to Tofukuji-temple, just one stop down on the Keihan Line. 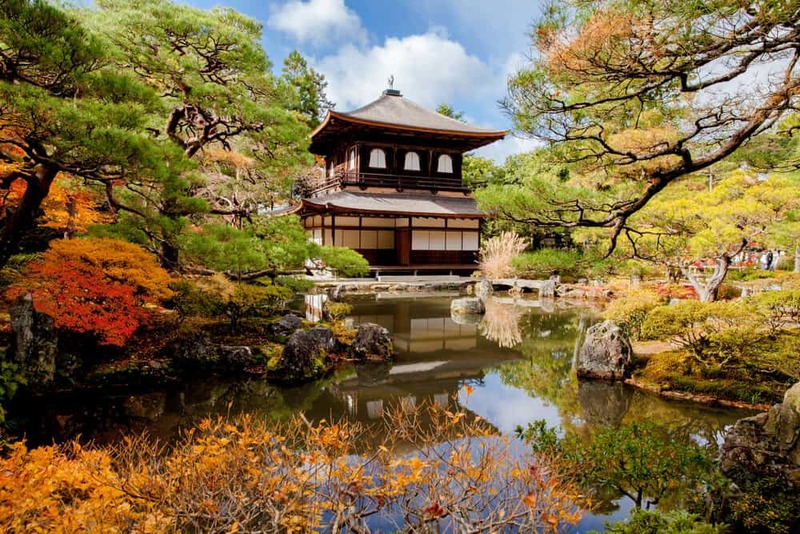 Tofukuji is extremely popular during autumn for its red maple leaves and practically deserted otherwise—leaving you to enjoy its zen gardens, wooden temples and ample greenery in peace.